It was a challenging weekend on the field for the Marsa Representative side facing good quality competition from Italy and England. Milan CC and the touring team of Colchester and East Essex CC (Hoboes CC) made for another busy weekend at the Marsa Sports Club with five matches being played. For Friday’s T20, Milan made their way directly from the airport and seems to have left their batting prowess at home as they reached a modest 92 all out in 15.4 overs. All eight Hoboes bowlers were successful, with Jack Hebron leading the way with 2 for 14. Captain Iain McQueen captured 1 wicket, 2 catches and a run out. In response, Hoboes CC made easy work of their target, reaching it with 7 overs to spare. Julian Russell top scored with 32 runs, while Nand Kumar took 2 for 19 for Milan. In Saturday’s first match, the Hoboes CC batsmen were in destructive mood reaching a staggering 198 runs from their allotted 25 overs. Darren Eckford (52) and Joe Austin (35) led the way in a commanding display of power hitting by the visitors. The Marsa bowling went to all corners of the famous Marsa Oval, with only Stephen Lucas (2 for 11) showing any form of control. Marsa’s reply started well enough with Niraj Khanna and Nowell Khosla both scoring 34 before they departed with the score at 73. A procession of wickets followed with 7 bastmen falling for just 39 runs. Hoboes captain and player of the match, Iain McQueen led the way for his side with an impressive (3 wickets for 19 runs). In the afternoon match, Marsa faced Milan CC who were hoping to redeem their Friday loss to Hoboes CC. With the Milan score at 110 for 6, the match was in the balance until a 68 run partnership between Rishab Jain (58 not out) and Ali Rizvi (44 not out), turned the game in Milan’s favour. The visitors tally of 178 for 6 included 5 sixes and 16 fours. Nine Marsa bowlers were called upon, with Feroz Ahmed taking the best figures for Marsa of 2 for 17. Marsa’s batting line, containing 5 of the Malta national team, were humbled and dismissed within the first 17 overs. The score of 55 all out was the home side’s lowest of the year. Haroon Mughal was the only player to reach double figures, scoring 14. Marsa’s misery was topped off by Gordon Hewitt, who was the first player in Malta to be timed out for not entering the field of play in the stipulated period of time. For Milan, Nand Kumar took 3 wickets for 3 runs with his leg-breaks. He was the stand out performer for Milan with the ball. On Sunday morning, Hoboes played Marsa and reached an imposing 175 for 5 off their allotted 25 overs. Jack Hebron (50), Julian Russell (45) and Joe Austin (29) made easy going of the Marsa bowling. Amar Gorania (3 for 45) and wicket-keeper John Grima (1 catch and a stumping) performed admirably for the home side. Once again, Marsa’s batting faltered with only Sam Aquilina (47) and John Grima (15) showing any resistance. Junior Ai Hamza chipped in with 10 superb runs but Julian Russell’s 5 for 17 finished off the match and sealed victory for the Hoboes by 69 runs. 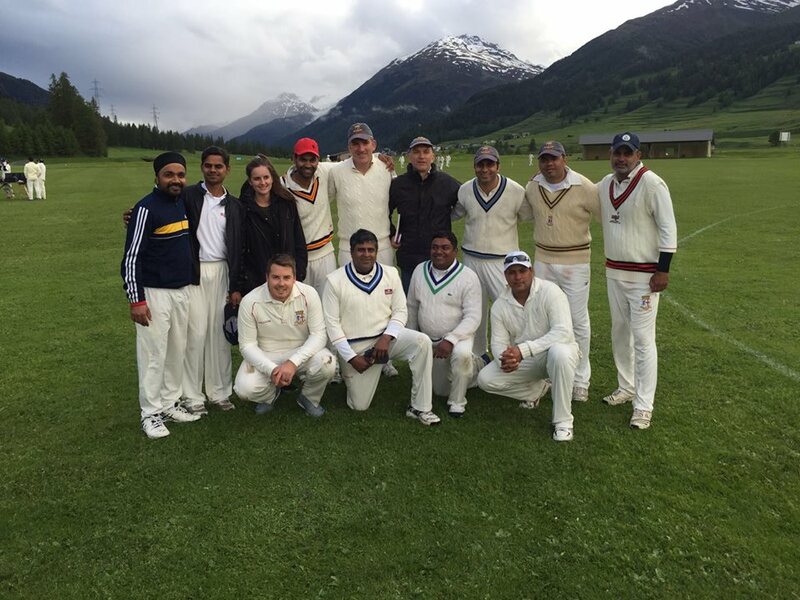 In the afternoon, Milan turned the tables on Hoboes, defeating them convincingly by 62 runs. Ali Rizvi (42), Sonu Singh (38), Monu Lal (26), S. Satinder (20) and S.Bundhere (20) all contributed well to reach 186 for 8 from their 25 overs. Hoboes started well with McQueen (49) and Russell (15) contributing 50 for the first wicket. Greg De Silva (20) and Mark Gaisford (14) threatened to wrestle the match in Hoboes favour but Bundhere (4 for 21) and Singh (3 for 14) secured the victory for Milan CC. This brought to an end an enjoyable series for the 3 teams involved with Julian Russell the undoubted Player of the Series with 131 runs and 10 wickets.